Multiplying numbers by 0 and 1 can be a confusing concept for many students, but these multiplication games make mastering this lesson a breeze. 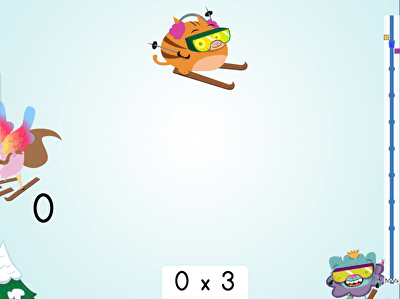 Students will learn how to easily multiply any number by 0 or 1 by playing these matching equation games, testing their skills with colorful quizzes, and competing in a snowy ski race. 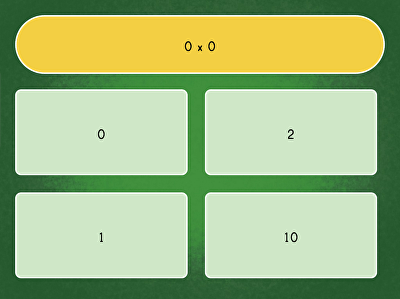 Everything times 0 equals 0! Practice this concept with this ski racer game. What's 0 times 3? 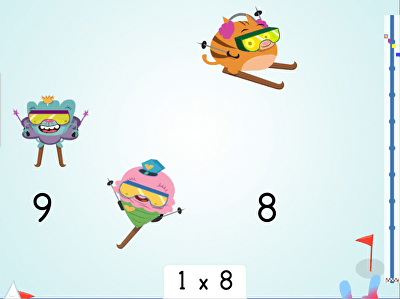 Practice your math skills with this quick and fun math facts game. 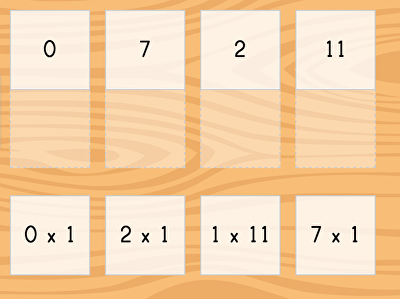 Multiplying by 0 will become a breeze after enough practice.